But when we never branch out, when we always stay in our comfort zone by sticking with people we know or gravitating to the people who best resemble us, we miss opportunities to grow. We miss out on conversations and connections that can enlighten us, inspire us, and expand our social network. And that is why my message for kids going back to school this month is OPEN UP. Open up your eyes. Open up your heart. Open up your mind. 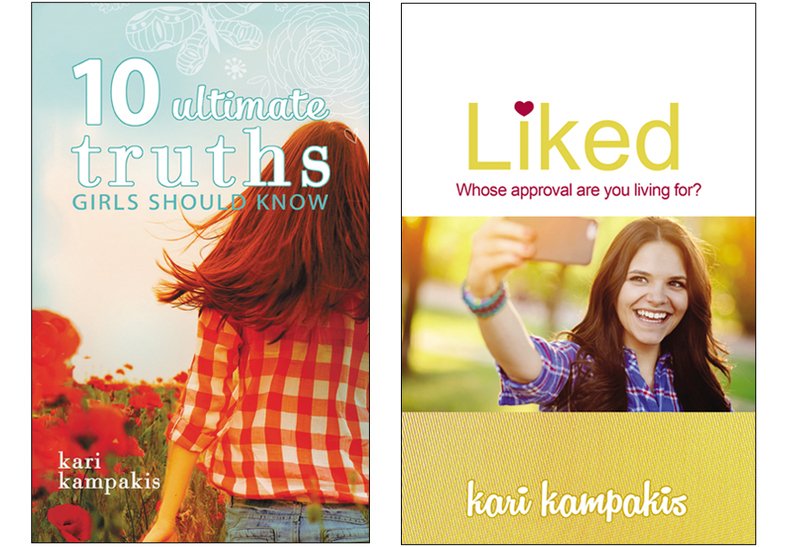 Last spring I spoke to 6th grade girls from 4 elementary schools that merge in junior high. One thing I tried to emphasize was the importance of looking past the surface to get to know people. 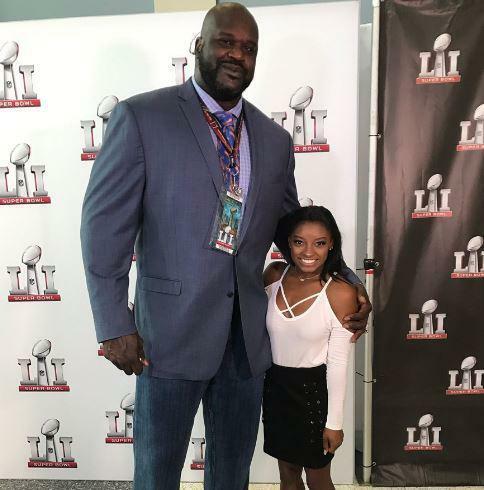 Sharing this picture of Simone Biles and Shaquille O’Neal that went viral on Twitter, I asked the girls to imagine them as normal people, not celebrities, who saw each other at a party. What might their initial reaction be? What might they assume given their polar-opposite appearances? Simone, at 4’9” tall and 104 pounds, could easily look at Shaquille and think: That guy is humongous. It’s hurts my neck to look up that high. I have nothing in common in him. Shaquille, at 7’1” tall and 325 pounds, could easily assume: That girl is a shrimp. She probably still rides in a car seat. I have nothing in common in her. The truth, however, is they are alike in a big way. They’re both phenomenal athletes. They both possess the drive to reach the top of their games. On the surface these things aren’t obvious, but in their hearts they share a passion that could lead to hours of conversation and a great friendship. What probably got them teased in school – their unusual sizes compared to peers – later led to a competitive advantage. With time it would be obvious how their physiques played into their callings, that Simone’s body would enable her tumbling while Shaquille’s would allow him to dominate the game of basketball. In short, what made them different made them great. The same holds true for everyone. We’re all unique for a reason, designed to live authentically and not identically. No two lives are supposed to look the same. No two people are meant to stay on perfectly parallel tracks. As adults we know this, yet we can be guilty as anyone of clinging to what’s familiar, making decisions based on what our friends do, and only surrounding ourselves with people whose lives mirror ours. Real growth, however, requires stretching. It means bravely following our passions, living our unique lives, and keeping a healthy curiosity about the people and world we encounter. It’s no accident that you and your classmates are together. Your lives have intersected during some highly impressionable years, and your job is to figure out why. It’s easy to care about the people you’re close to, but I encourage you to think bigger. Build community by caring about people even if your paths rarely cross. The kindest thing you can do for a peer is to appreciate their gift or interest even if it’s not your gift or interest. Celebrate that special thing – art, drama, music, debate, sports – that helps them come alive. By bringing out the best in others, you bring out the best in you. Nobody needs to be a clone of you to add value to your life. In fact, your best and most enriching interactions will be with people who help you grow in positive, impactful ways. This may happen with your friends or with classmates outside your radar, those you thought you had nothing in common with until you gave them a chance. So open up your eyes, your heart, and your mind to the possibilities in front of you. Remember you have the power to help or hurt your classmates, to notice them or ignore them, to love them as they are or make them feel like a mistake. What makes you different makes you great. The same holds true for everyone is your school. You are all a work-in-progress, all part of a bigger plan and part of each other’s stories for many years to come. We’ve all missed opportunities to meet interesting people or start dynamic new friendships because we were too comfortable in our comfort zone. But moving forward, we can make a point to open up. We can see every individual as someone to learn from, someone who has gifts worth celebrating and a life worth caring about that runs deeper than first impressions and what is obvious on the surface. What a great message for us as all! Thank you for always sharing your gift! Great advice from a wise Mom!